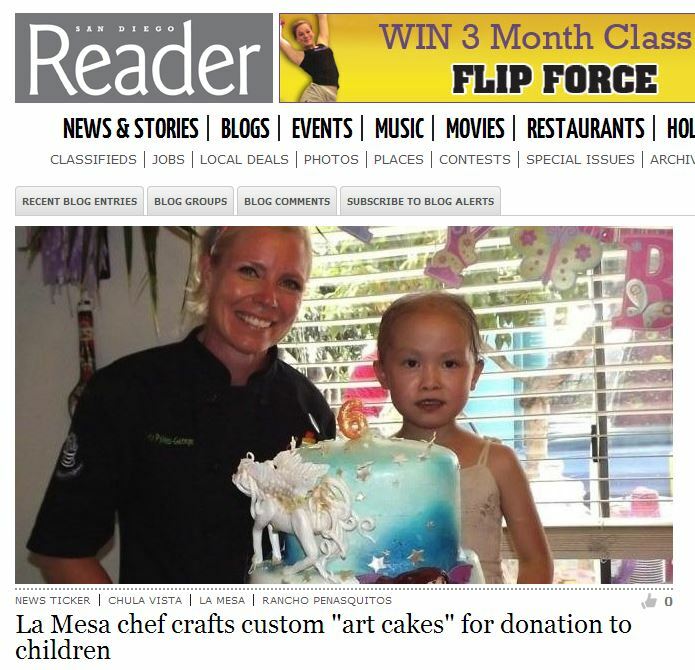 Congratulations to our Client Icing Smiles for their feature in the San Diego Reader. Icing Smiles reliesÂ on over 4,000 â€œsugar angelsâ€ across the country to bake and deliver the cakes, of which dozens are requested each week. Simple things, like a birthday cake, are luxuries to a family battling illness. Â Their goal is to create a custom cake for the ill child, or their sibling, thatÂ provides a temporary escape from worry and creates a positive memory during a difficult time. Find out more about Icing Smiles, including how to get involved, by visiting IcingSmiles.org!